Sigvard Bernadotte, born prince as son of the Swedish king. He lost his title when he married his first wife. He was given the title of count by the Great-duchess of Luxembourg Josephine-Charlotte, daughter of his aunt Astrid, Queen of Belgium. He studied ornamental arts with Olle Hjortzberg but was first interested in theatre and studied stage design in Munich. He subsequently did some stage work in Berlin and designed a number of posters and stage designs and art directed three Swedish films. Impressed by the work of U.S Industrial designers, like Henry Dreyfuss, Raymond Loewy, Walter Dorwin Teague, whom he visited in the early 30-ties, he re-directed his talents and interests in design. He had a live long design contract with George Jensen for whom he designed mostly silverware. The quality of that work was recognized by the New York Metropolitan Museum who has a number of them in its permanent collection. Before starting his own design office in Stockholm he was associated with Acton Bjorn in Copenhagen. This association that started in 1949 created the first real professional Industrial design office in Denmark. 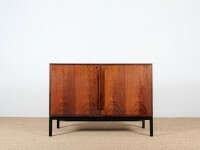 With Acton Bjorn (1910-1992), he designed for Odhner and Rosti AS and a number of other Scandinavian companies like Facit, Nils Johan, AB Husqvarna Borstfabrik, NK, Bang & Olufsen (Beolit 500) and Pressalit. 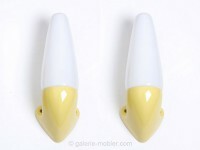 He also designed for Rosenthal. He was co-founder of the Swedish Industrial Designers Society (SID) and for several years (1961-1963) president of the International Council of Societies of Industrial Design (ICSID) where he had served on the board since 1957. Industrial Design might have been his "second" career choice, acting and theatre being his first love but unacceptable for the Swedish royal family, Sigvard Bernadotte became an important and influential industrial designer. Many of Sweden's early design icons were designed by him and both with Acton Bjorn and in Stockholm (Allied Industrial Designers) his offices were learning and starting points for many well known Swedish and Danish designers of the following generation. 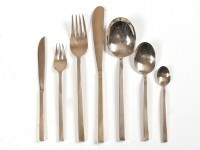 Scandinavian cutlery set Scanline in bronze. 56 pieces.